So I think I figured something out. 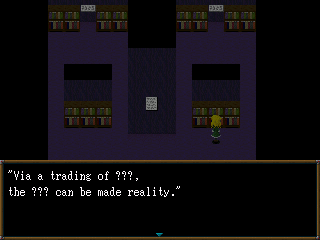 Major spoilers for Ib, including content from 1.04. So we know Mary knows she's a painting, right? Well, um. No, we don't. She knows she lives in a weird painting world, and that there's an outside world where she might find her "father." But she doesn't seem to know she's a painting herself. She doesn't even acknowledge her rose being fake. And she thinks of herself as human in just about all respects. When she checks the art book, something or someone messes with her entry to prevent her from reading it. 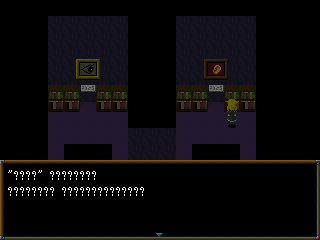 Similarly, her entry gets swapped out for Marvelous Night if Ib, Garry, and Mary are all together and try to check it. But wait... Strained Ear heard Garry read her entry, and Tattletale told Mary about it, right? Except what happened immediately after - or perhaps just before? 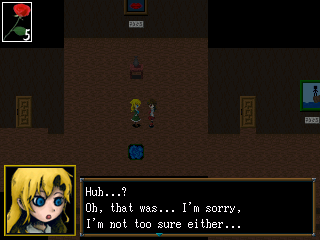 Just when she's about to learn the truth about herself, she goes (thus-far) uncharacteristically crazy. But once she's done with that, she goes back to normal and seems to have no idea what just happened. 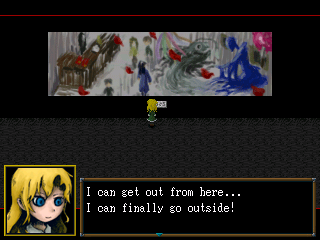 Now, in A Painting's Demise, she decides to leave Ib and Garry behind and just leave. 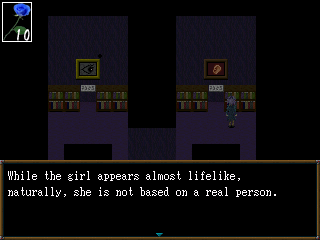 This doesn't seem to work out; someone doesn't want her to leave, and the fact that neither Ib or Garry dies probably means she can't actually get out. 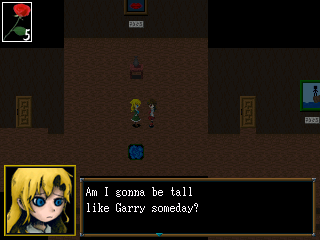 But her killing Garry on other routes implies she knows exactly what she needs to do to get out. So then why would she even try to leave on her own? I bet Guertena knows the rules, though. Guertena must have wanted Mary to be real, and to live happily. So he protected her: he "took control" to keep her from learning she wasn't real, and when Garry proved to be a threat, he took action against him through Mary. There is something else to consider, though. 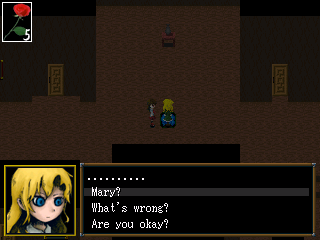 Mary has reason to believe she's real and alive like Ib and Garry. Because hey, she has a rose too! But Garry can quickly tell her rose is fake. It's just one of the ones from her painting. 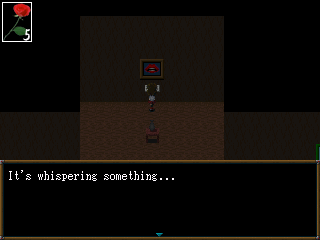 Ib and Garry are fearful the whole game of their roses coming to harm, because they know the roses are their very lives... but not being truly alive, Mary and the other paintings don't understand this. They don't know the weight of life as Ib and Garry do. 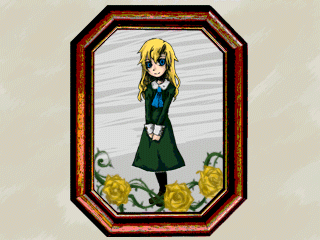 It's why Mary is so flippant about the roses and their colors right after joining, and handles Ib's so carelessly if you let her hold it. 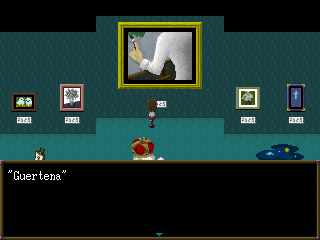 It's also probably why she can so cheerfully pluck the petals from Garry's rose in what would appear to be her usual state of mind, rather than the one she demonstrates when you find her painting. The innocent-minded Mary wouldn't stab Garry with a knife, but if it's just playing with a rose? That's worth it if it means she'll be able to escape and find her father. I wonder what she'd think of this?